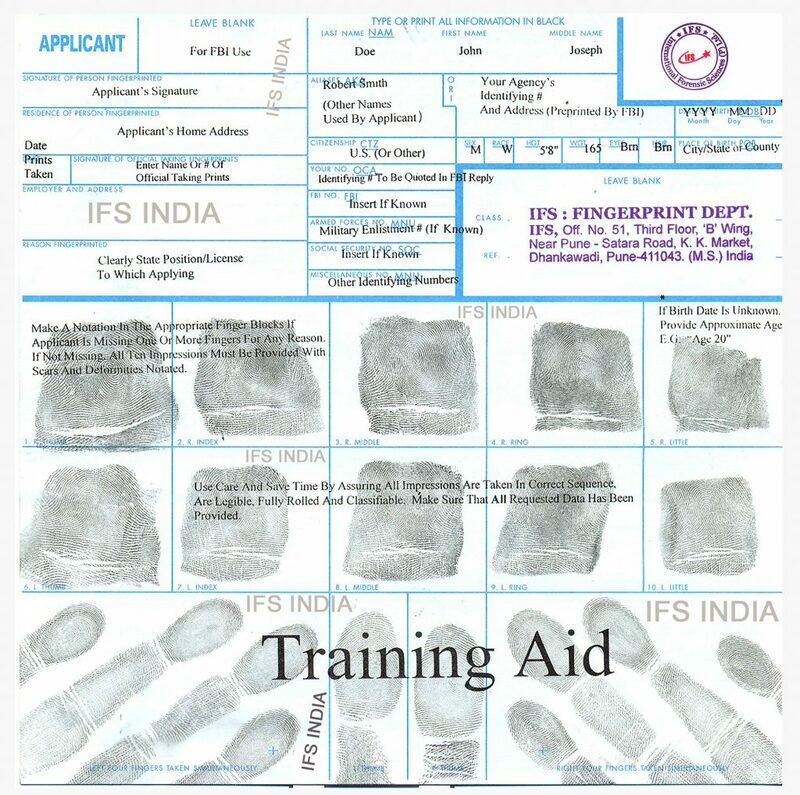 “IFS INDIA” is India’s is one of the reputed, largest and leading Forensic Organization for Fingerprinting and Other Investigations. We are Govt Certified Fingerprinting Organization and also appointed as Court Commissioner for Honorable Court. All our Fingerprinting Experts and Staff is well qualified, experienced and properly trained to perform their fingerprinting tasks & to fulfill their responsibilities to achieve 100% success rate in fingerprinting results . We strictly comply FBI USA, RCMP Canada & Other Country’s Rules as well as Guidelines for Fingerprinting process. All our services are Legally acceptable. We use only Genuine, Standard, High Quality Fingerprinting Kits, Original Fingerprint Cards, Valid Forms and other required tools. We offer fingerprinting services for VISA, Medical Licenses, Immigration, PCC – Police Clearance Certificates, Criminal Background Checks, and/or Criminal History Records Clearance from countries like : FBI – Federal Bureau of Investigation USA, RCMP – Royal Canadian Mounted Police, UK, UAE : Abu Dhabi, Ajman, Fujairah, Sharjah, Dubai, Ras al-Khaimah, Umm al-Qaiwain, Saudi Arabia, South Africa, Singapore, Kuwait, Australia, Belgium, Kenya, Spain. We also deals with rejection cases (Rejected from other agencies or experts) and have a proven track record of success in such cases. We will provide you Expedited, Superior, Acceptable and Certified Fingerprinting Services in India, especially in Pune, Maharashtra, Hyderabad, Chennai, Tamilnadu, Kerala, Bangalore, Telngana, Andhra Pradesh, Nagpur, Solapur, Satara, Kolhapur, Sangli, Aurnagabad, Nashik, Lucknow, Kanpur etc.